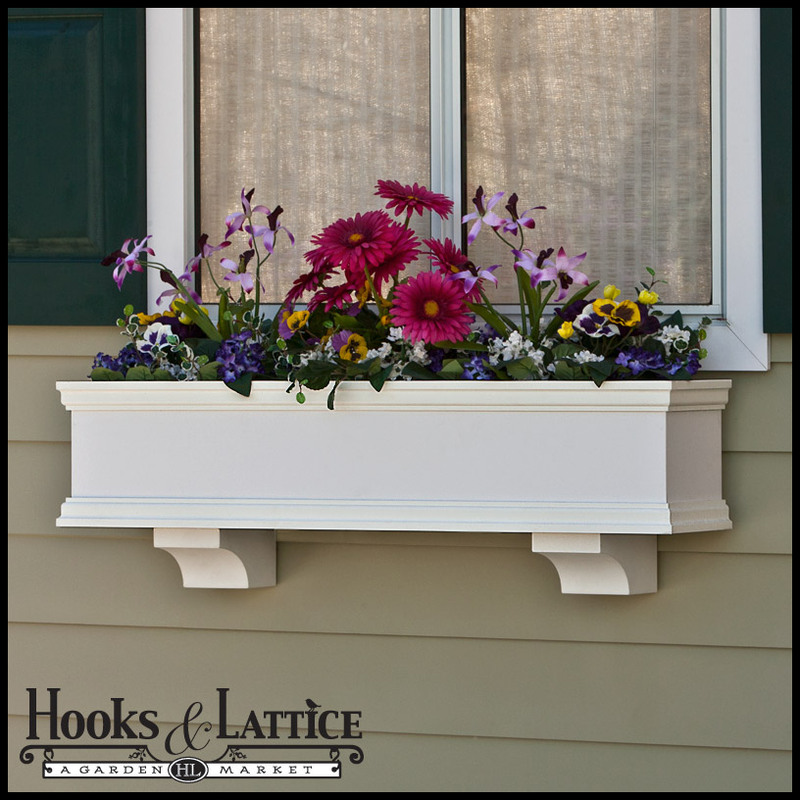 Now a household name, Hooks and Lattice Laguna Window Boxes were created as an elegant window gardening solution that never needs to be replaced. 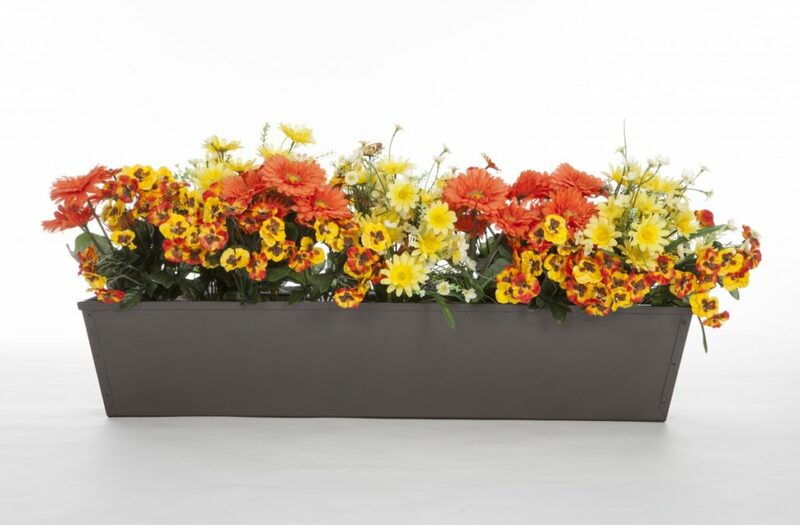 That’s right, this ever-popular flower box is made from a solid core PVC composite material. 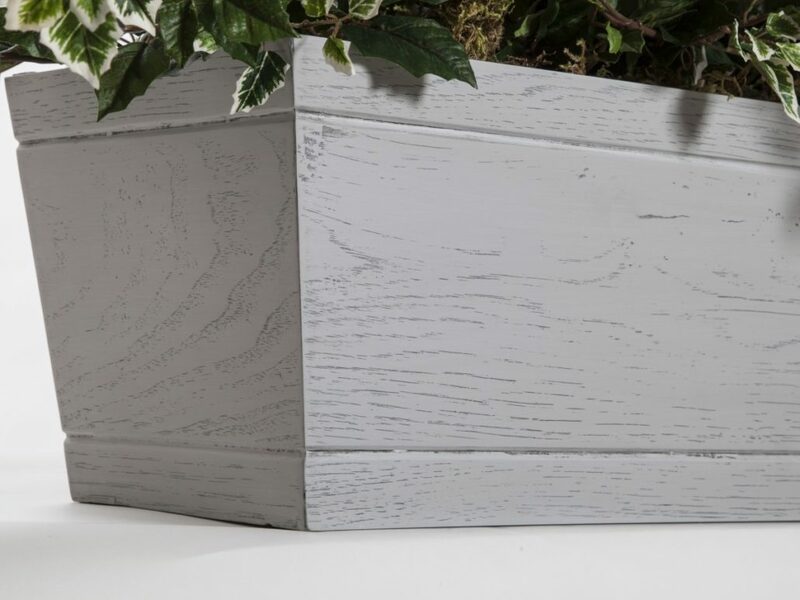 This material looks and feels like wood, but you don’t have to worry about it ever rotting, warping, twisting, peeling, chipping, or the myriad of issues that come with wooden planters. They’re inherently white, so there is also never the need to refinish, and they clean up easily using a damp cloth. Truly the best of both worlds: classic beauty and solution-based technology. 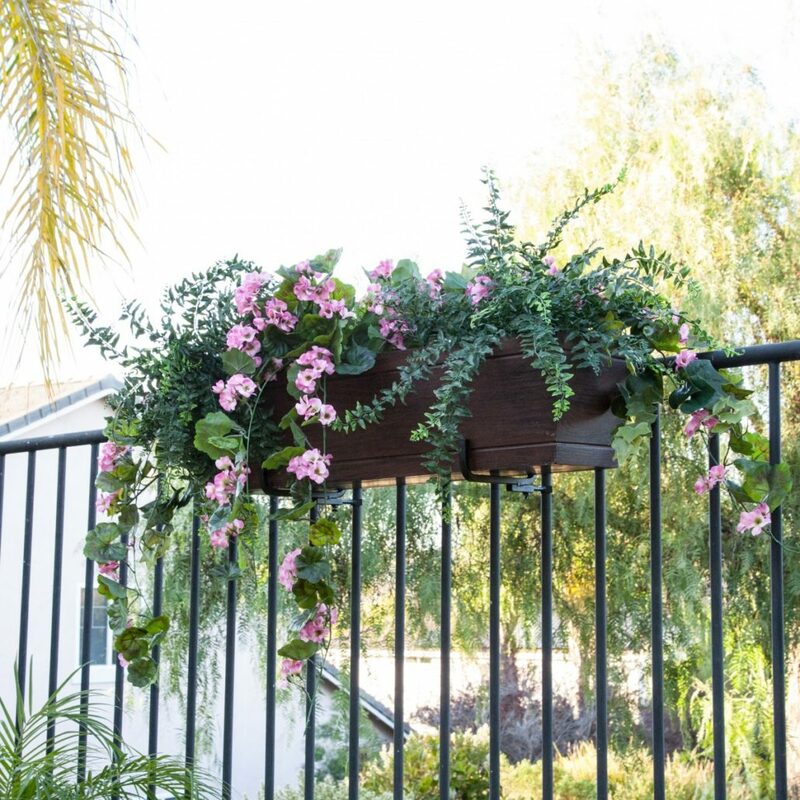 The most permanent and secure way to mount a window or wall planter, direct mount Laguna flower boxes install using 3/8″ diameter lag bolts and can also be used as railing planters with stainless steel brackets. 8 standard sizes online; custom orders accepted. 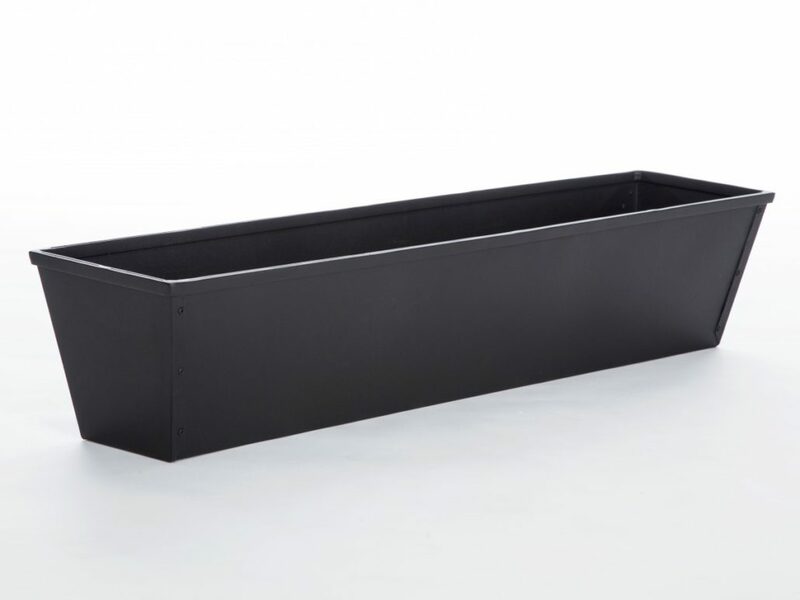 The fastest and easiest way to install a window box planter, our unique integrated cleat system runs the entire length of the box for maximum support. Simply affix the cleat to any flat vertical surface and attach the planter. This design is ideal for people looking for easy, instant curb appeal and those who change out planting seasonally. 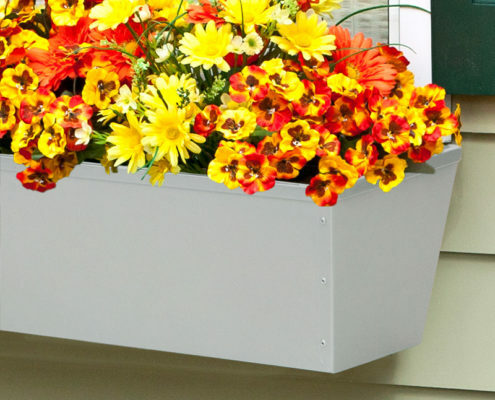 Like the standard cleat mount Laguna, the XL Laguna flower boxes are an “easy-up” installation solution for home and business owners alike. 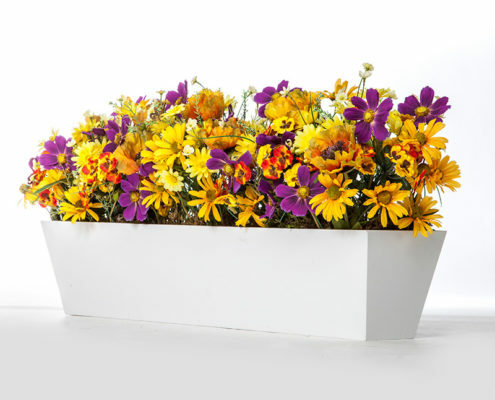 The XL version offers a generous planting space for medium to large container plants. 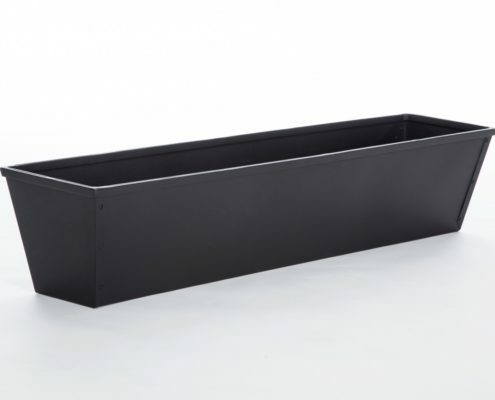 It measures 10.5″ deep x 10.5″ tall and is available in 24″ to 72″ standard lengths. This design adds stately architectural detail to any exterior. 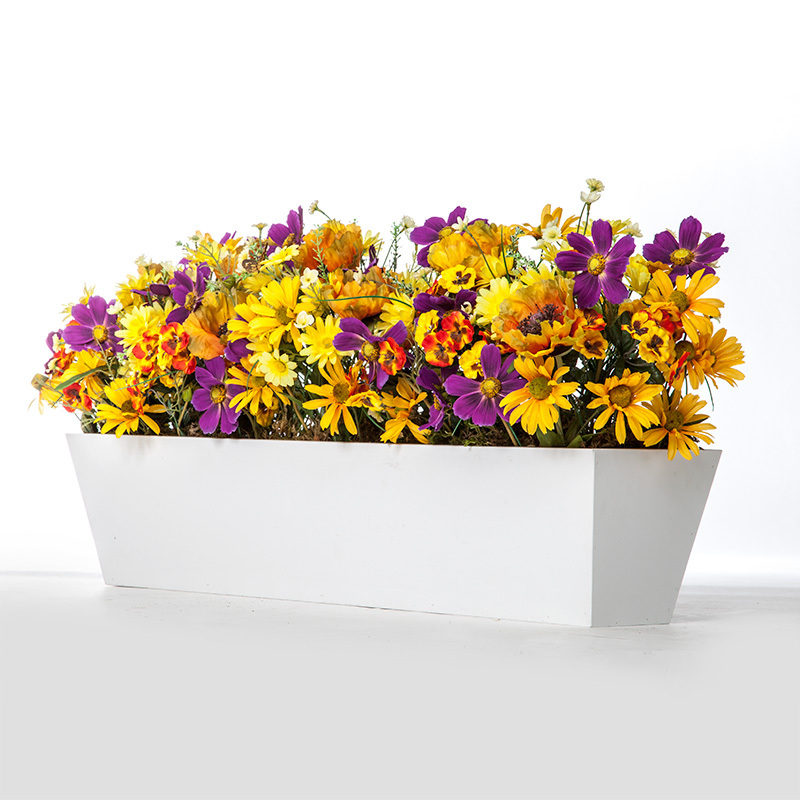 The Laguna is just one of our many gorgeous composite window boxes online. 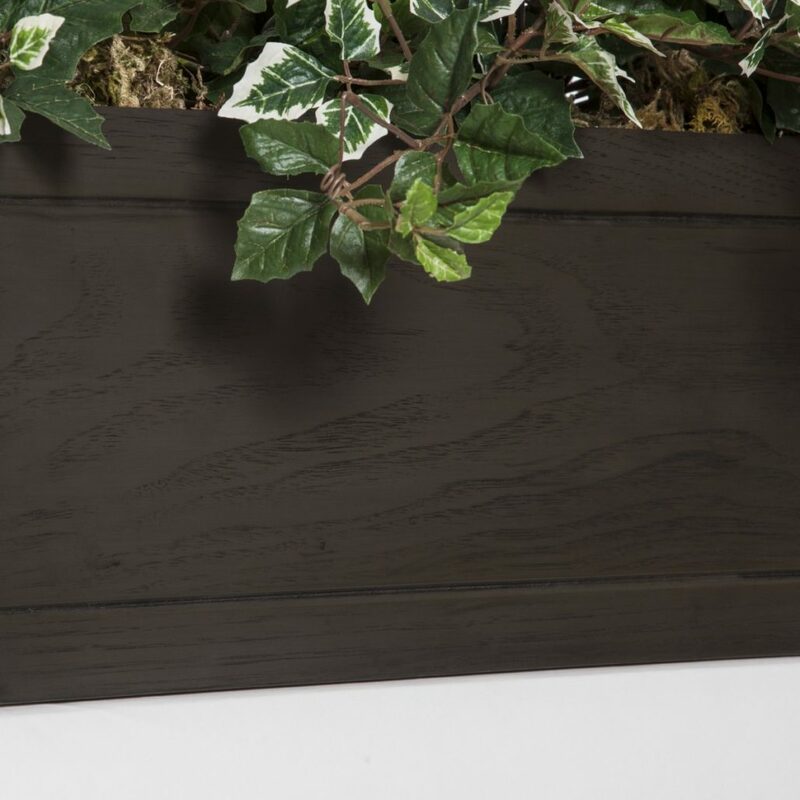 Whether you’re looking for a planter box with detailed trim or something cleaner and more contemporary, there is a planter style for you! 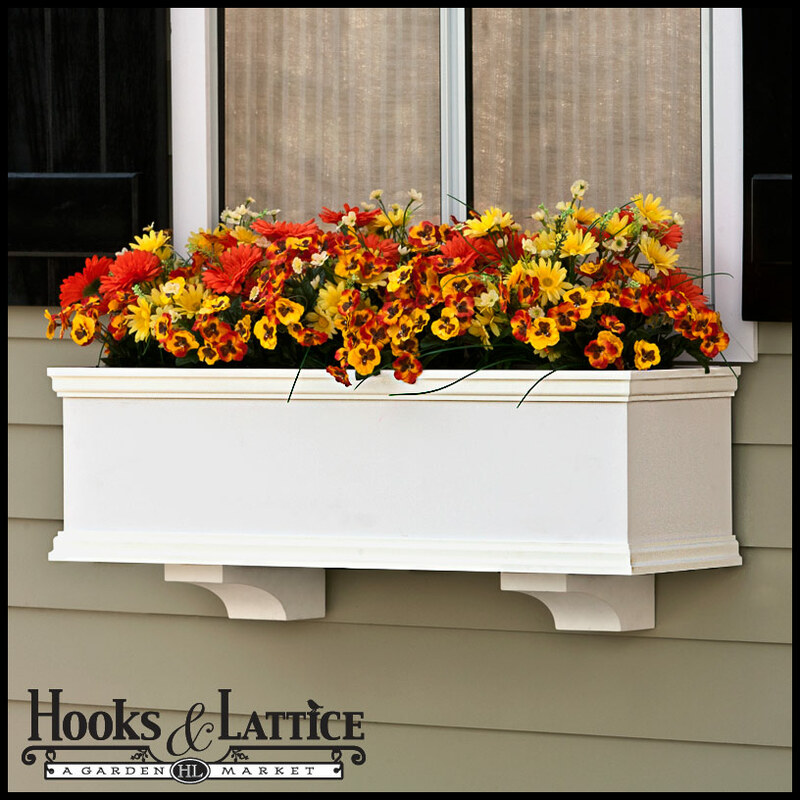 Not sure what size window box you need, or looking for a few pointers? 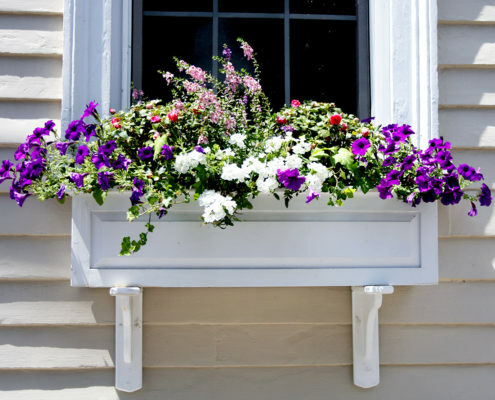 Check out our Window Box Buying Guide to learn more. 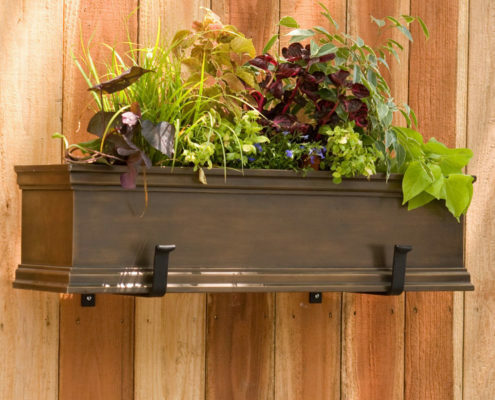 An empty window box, outdoor planter, or hanging basket is not only a sad sight. It also detracts from your home’s curb appeal. Faux azalea flowers, shrubs and other artificial outdoor plants give you a way to keep your planters full of color all year long. When decorating a home or commercial property, plants can help bring more life and style to any property, inside or out. Unfortunately, not everyone has the time to care for live plants. But, there is an alternative – faux flowers. People often overlook the actual exterior of their home’s facade when landscaping. Your windows, walls, deck railings, and even your fences are prime spots for adding more decoration and color ful curb appeal to your home. 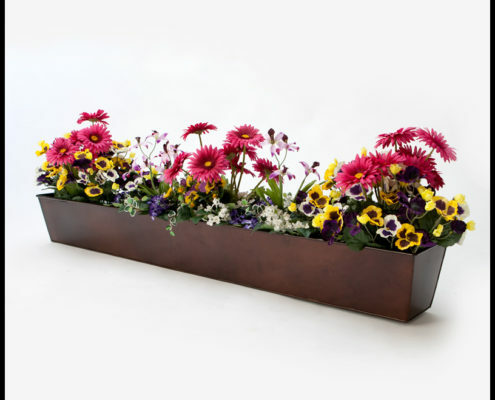 With the help of PVC flower boxes and planters, you can create a truly stunning display. 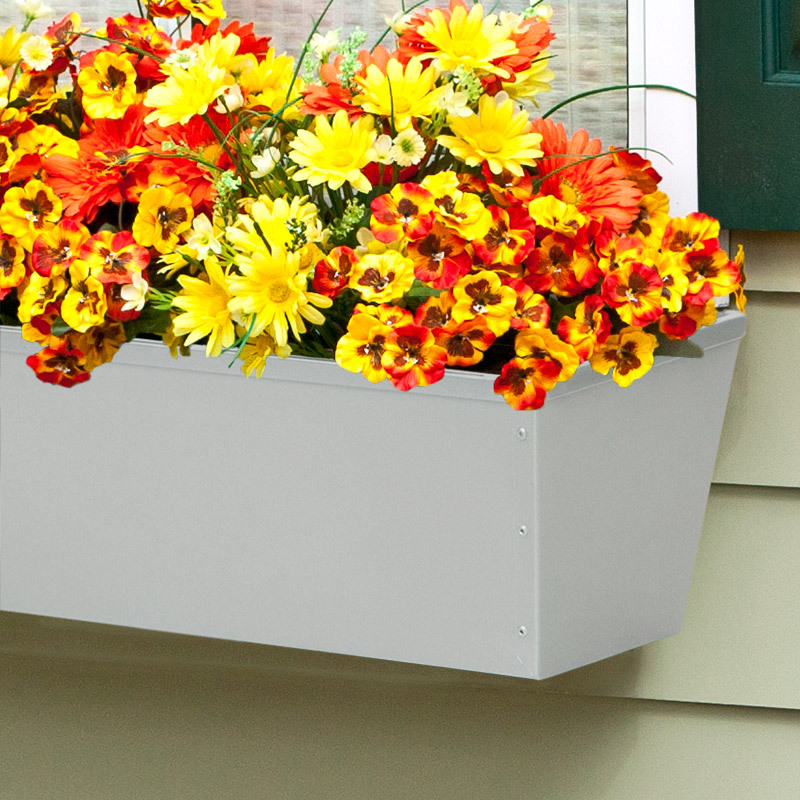 Discover the ease of transforming the exterior of your home with PVC flower boxes. Are you struggling to find a way to add more beauty to the exterior of your home? Window planters and landscaping can only do so much for your yard. The addition of wrought iron faux balconies could be the solution that you have been looking for. You do not need to spend money on major renovations to begin transforming the look and function of your backyard or the exterior of your home. With the help of window baskets, decorative outdoor planters, and eco-friendly materials, you can easily begin landscaping your home. 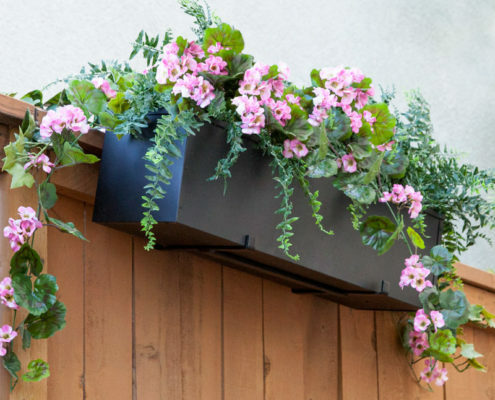 Discover some of the best, and easiest, curb appeal ideas for 2016. 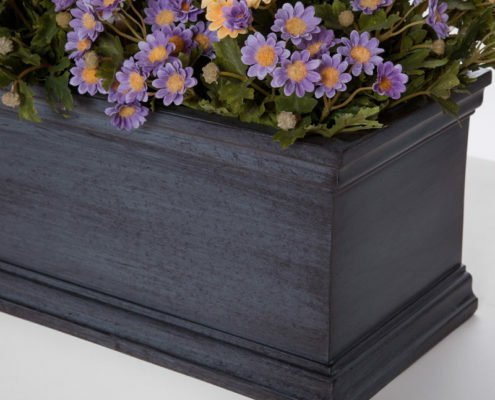 When choosing outdoor planters, there is a lot of options to consider. You should start by considering the look or style that you want to create and the curb appeal ideas that you want to incorporate. 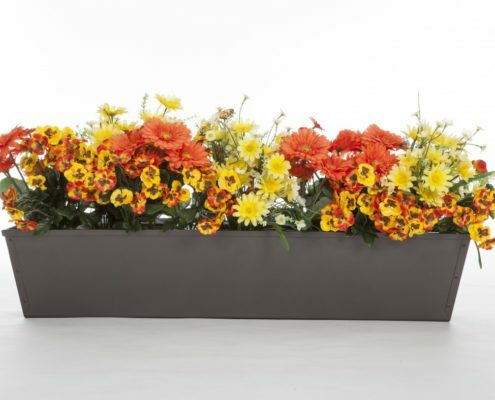 If you want a bold look, then you may want to examine the many Decora style planters and liners that we have available. The Del Mar Decora features hand bent scrolls and delicate details. 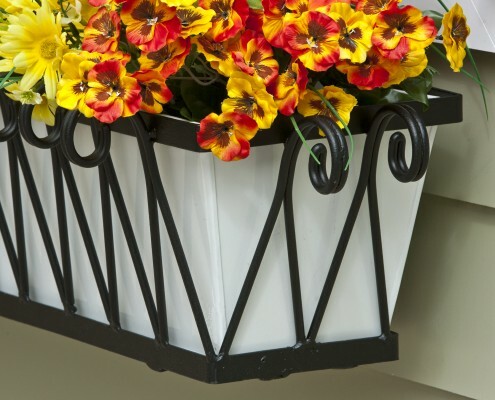 These planters are constructed from durable wrought iron that is powder coated to protect the planter against rain and severe weather. 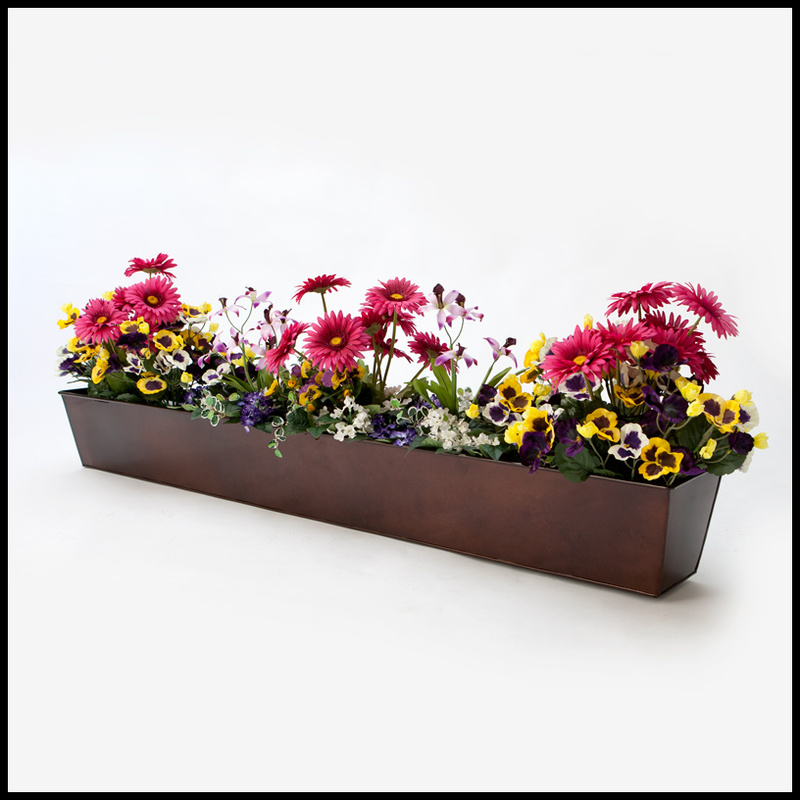 You can choose from multiple planter liner styles when adding a Decora planter, including real copper or galvanized metal liners. 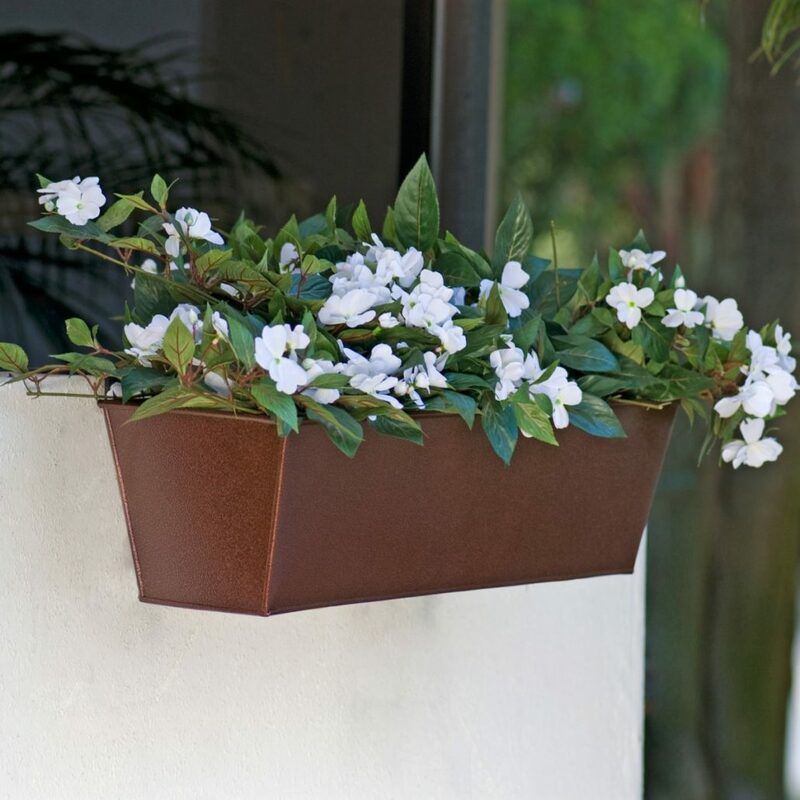 These window box liners should provide years of use and allow you to choose a color and style that matches your existing decor. 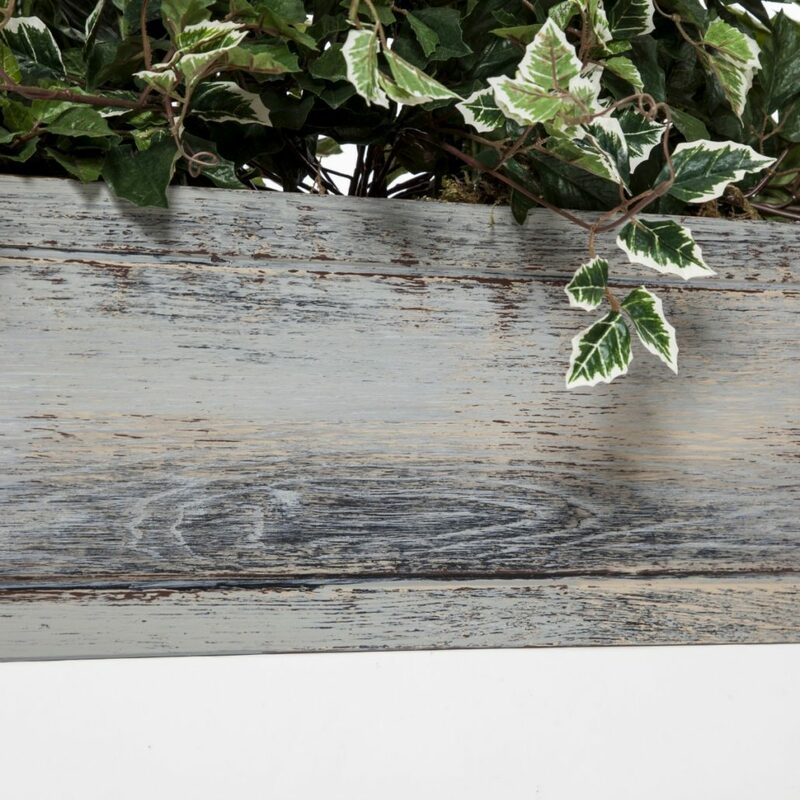 For those of you that prefer a more rustic style, we also have a selection of distressed window boxes constructed from fiberglass. 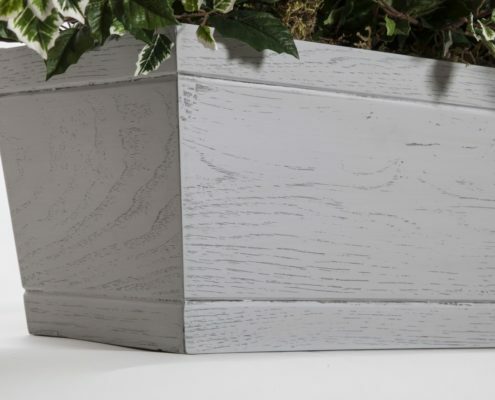 These planters are designed to mimic the look and feel of real distressed or reclaimed wood. You can choose from dark hickory, cherry, and driftwood finishes. 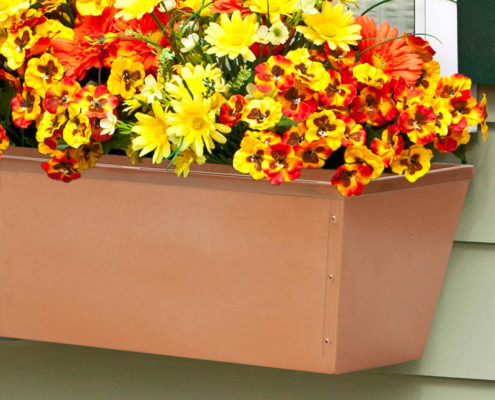 By choosing a fiberglass window box, you can enjoy years of use, without worrying about warping, decay, and damage as you would a real wood planter. 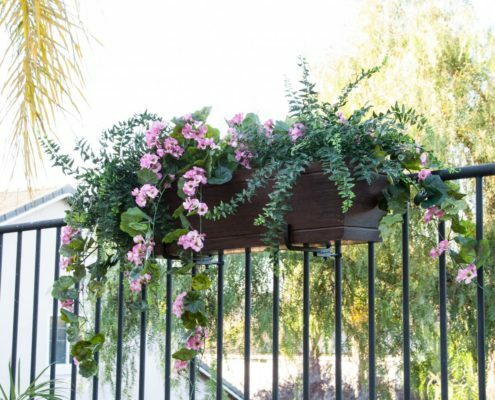 In addition to window cage planters and fiberglass wood planters, you can bring plant life to your porch with the use of hanging flower baskets. There are many designs to choose from. But, our most popular options remain the English Garden hanging baskets. 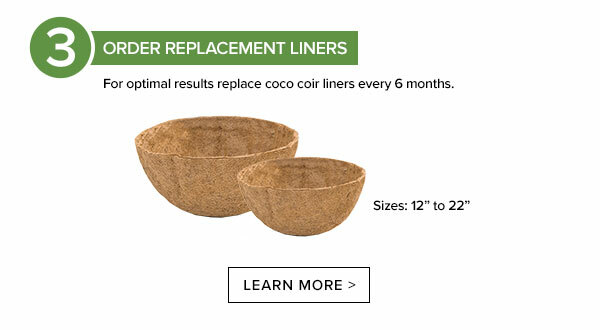 These baskets are constructed from flat wrought iron bars and lined with an eco-friendly coconut liner. This is the perfect choice for displaying hanging flowers. 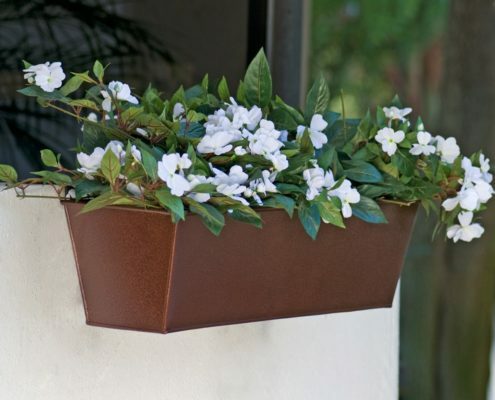 There are many ways to use planters and hanging baskets to decorate the exterior of your home. 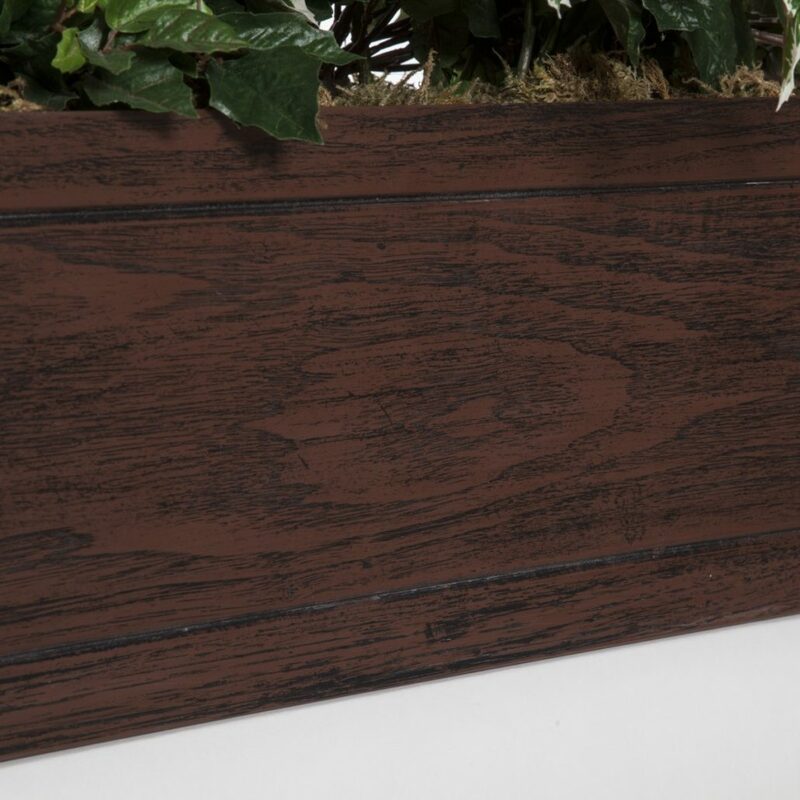 Planters can be mounted below window sills, along railings, or on your balcony. 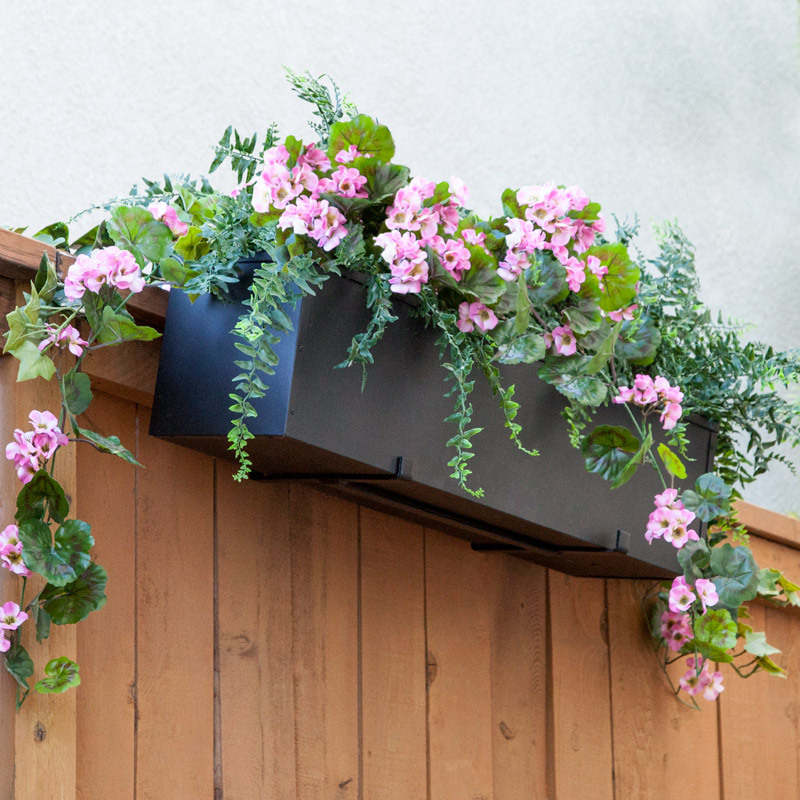 Hanging baskets can be attached below the overhang of a porch or from a tall fence post. 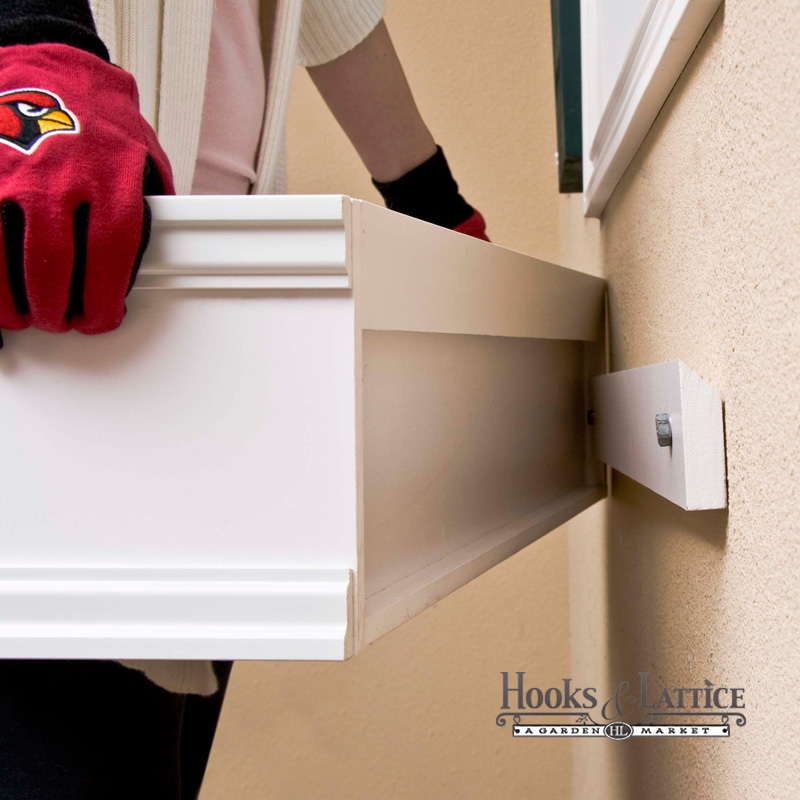 For all of your mounting needs, we have an assortment of window box brackets, braces, and planter hangers. 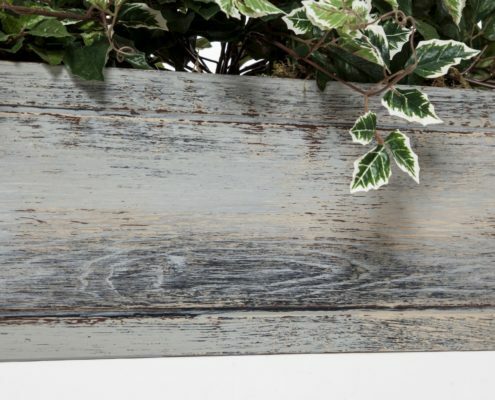 This allows you to choose any location along the outside of your home for displaying vibrant plant life. Here’s to All Things Easy–Especially Curb Appeal! These are just a few examples of easy curb appeal ideas. 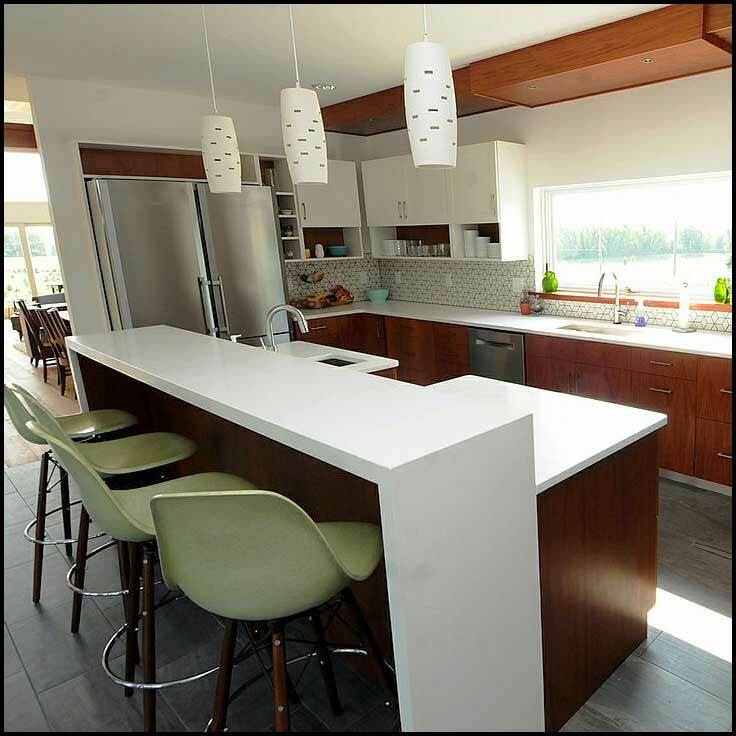 There are many ways to transform your home. But, outdoor planters and flower boxes offer affordability and ease. Our selection of quality hanging flower baskets and wood boxes make the perfect addition to any home. 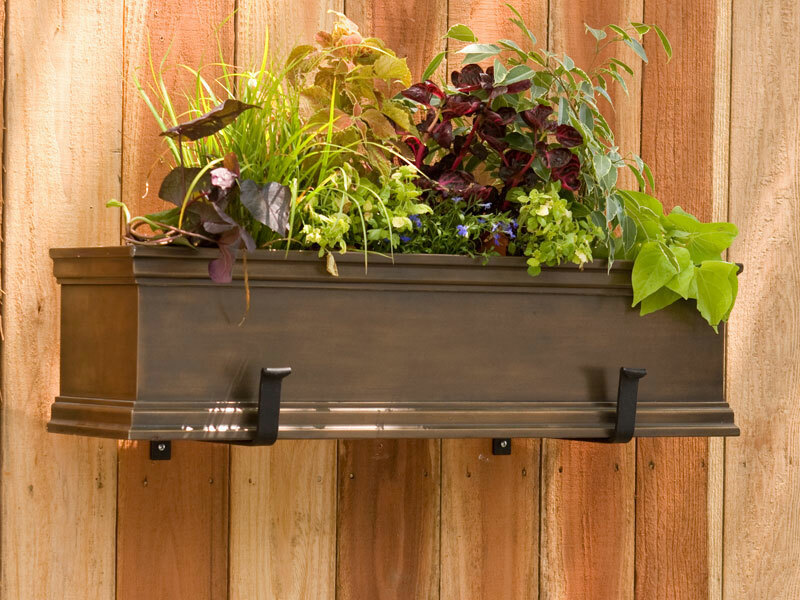 They are easy to mount along windowsills, patios, railings, or hang from your porch. 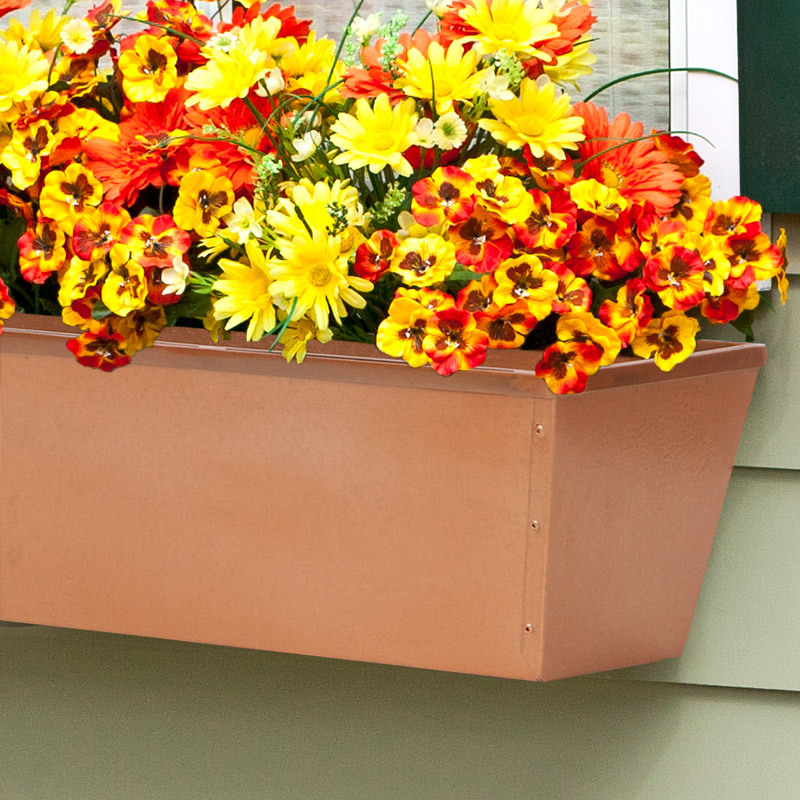 If you are ready to add more color to the exterior of your home, then browse our wide assortment of quality, durable outdoor planters and hanging baskets. Now that it’s time to turn back the clocks and enter Daylight Savings time, you’re going to be reaching for that light switch far more frequently. You’re also likely beginning to think about the upcoming holiday season and all of the entertaining you’ll be doing throughout the rest of the year. Sprucing up your decor with some new lighting fixtures can help to enhance the look of every room in your home and allow you to light up those long fall and winter nights in the utmost of style. Mounting one or more sconces on your walls can serve two key functions. First, you’ll get the benefit of soft illumination to make rooms brighter, and secondly, you can make an empty stretch of wall far more interesting and visually appealing. 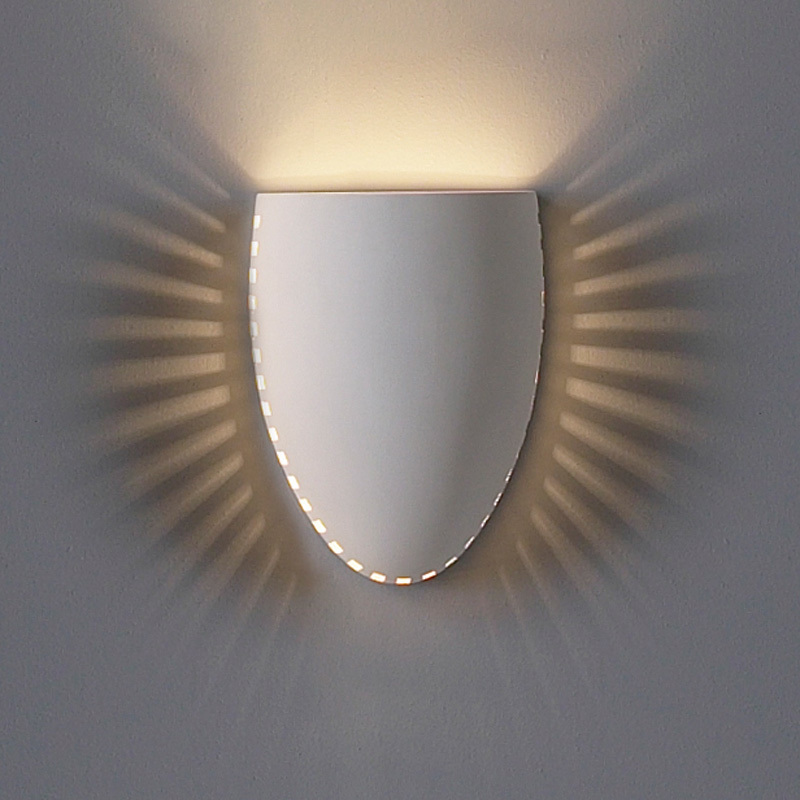 Wall sconce lighting fixtures will throw light in different ways, depending on their design. For example, our Ceramic Bowl Sconce directs light upward, while our Egg Bottom Sconce provides vertical lighting as well as gorgeous beams of light along the sides and bottom. Suspended from the ceiling by chains or wires, pendant lights make use of available overhead space to add illumination to a room. Typically, larger pendant lights are used over focal points in a space like our Egg Shell Ceramic Pendant Light, which brings a whimsical look to a room while lighting up a dining room table or another key furnishing. Smaller pendant lights Cylinder Pendant Light can be hung alone or in groups as main lights or accent lights in a space. Like pendant lights, ceiling lights aim illumination toward the ground. Some designs like our Bowl Ceiling Light with Leaflets rest close to the ceiling, while others like our Ceiling Light with Abstract Maize Border are mounted on arms that lower them into the space to suit higher ceilings. Very versatile, ceiling light fixtures can be used in any room of the home from guest bedrooms to kitchens to bathrooms to living rooms. In rooms where you don’t have the option to add wall or ceiling lighting, a table lamp can instantly brighten up a space. Because they are placed on top of tables, desks and other furnishings inside of homes, table lamps become a powerful accent to the overall decor of a room. 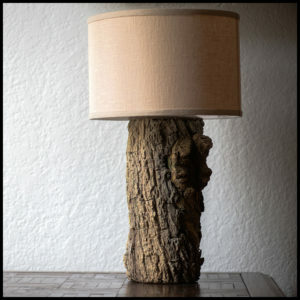 Unique lights like our Tree Trunk Ceramic Table Lamp can bring character and personality to bedrooms, living rooms, family rooms and dens. Soft lighting in a bathroom over a vanity or along a wall makes it easier to see to complete a grooming routine and creates a welcoming, warm ambiance in a space. 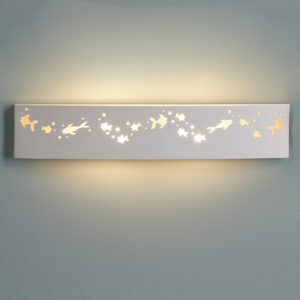 This type of lighting is designed to fit easily into whatever space is available in a bathroom and comes in many different styles from playful ocean themes like our Floundering Fish Ceramic Vanity Light to sophisticated minimalist modern lighting looks like our Modern Lines Ceramic Vanity Light. Whether you’re looking for wall sconces, pendant lights, ceiling lights or table lamps, Hooks & Lattice has something stunning that will suit your needs and complement your decor to perfection. Check out our collection of home lighting to discover all of the attractive illumination options available to help you light up your decor for fall and winter. Named after the famous scenes in Shakespeare’s Romeo and Juliet, these faux balconies come in an assortment of styles and designs. Easily installed along the exterior of your home or commercial property, these unique wrought iron balconies provide an affordable method of transforming your property and adding to its curb appeal. 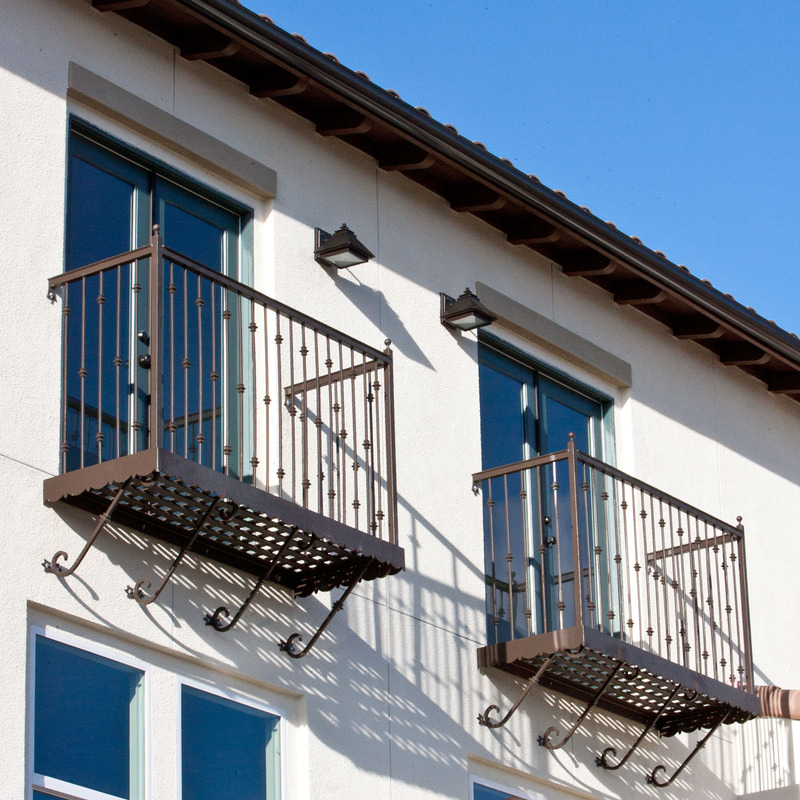 Learn more about Juliet balconies and the extensive customization options that are available. What is a Faux Balcony? For those that are not familiar with the concept of a faux balcony, they are essentially a decorative balcony that can be added to the exterior of a window. 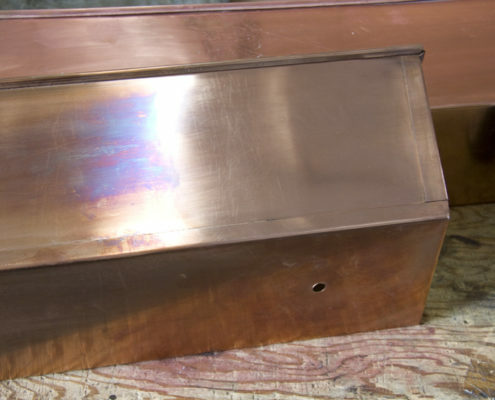 There are fairly easy to install and do not require major construction. 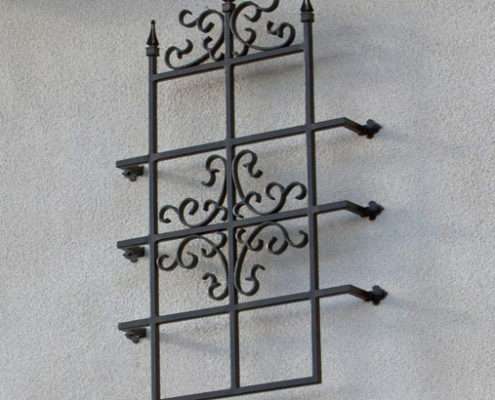 Typically made from wrought iron, faux balconies often feature elegant lines and scrollwork. They look great along the exterior of any home and can be used to add more character to a bland window. As with any addition to the exterior of your home, you should make your selection carefully and put some thought into the balcony you choose. 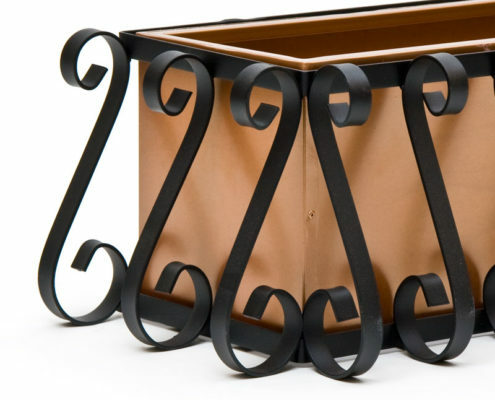 Each wrought iron Juliet balcony that we carry is available in a variety of colors and sizes. 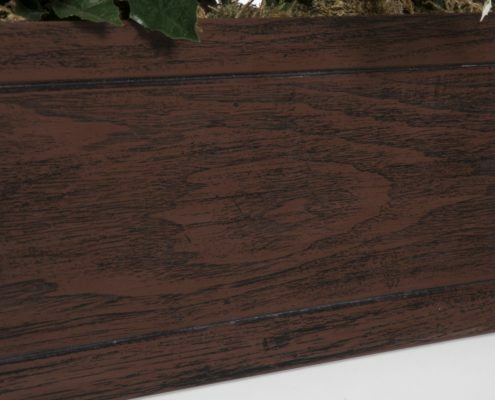 For example, our Addison Juliet Balcony can be purchased in black, white copper, bronze, silver, or textured bronze. This particular balcony fits closely against the window and a subtle addition that can easily blend in with the exterior appearance of your property. 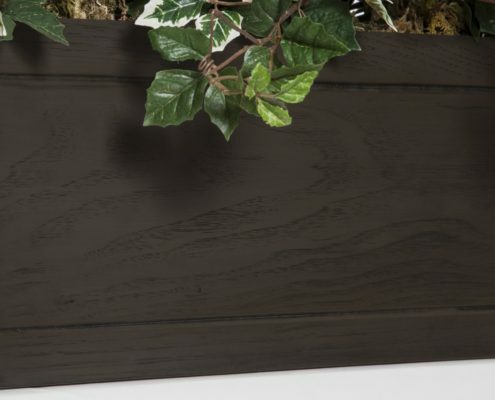 For a more striking appearance, the Brantford Juliet Balcony should be considered. It features highly detailed scrollwork throughout the entire design. The Brantford Juliet Balcony will definitely draw attention to your home and features the same color options as the Addison balcony. If you are looking for a design that is more in the middle, the classical look of our Cassia Juliet Balcony could be what you are looking for. The simple lines and elegant curves along the bottom of this wrought iron Juliet balcony offer a more traditional look and resembles what most people probably imagine when they picture a Juliet balcony. All of our faux balconies are powder coated to resist rusting and they can also be custom-made to fit a specific window size. Choose a finish and color that matches the overall look you are trying to achieve along the exterior of your home. We have provided a range of colors to choose from for the finish of your faux balcony. 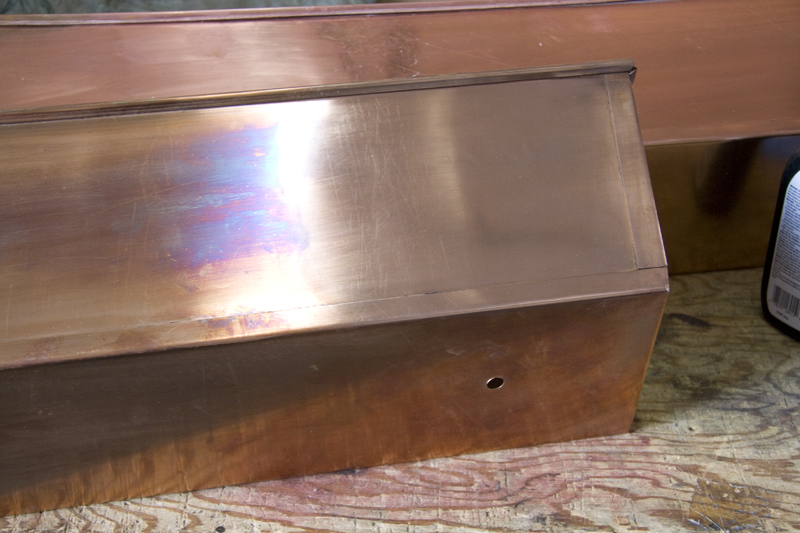 Find the size that you need or consider ordering a custom made faux balcony. In addition to the large selection of wrought iron Juliet balconies that you can browse on our website, we also offer custom faux balcony design. 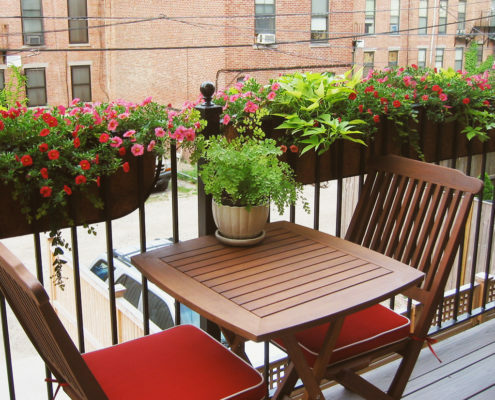 We can custom make a balcony to meet your needs and design aesthetics. All of our balconies started as custom faux balcony designs, to get your custom design started, browse our selection here or email us a picture of a balcony and we can show you how we can create a custom design to fit any window or location along the exterior of your property. A wrought iron Juliet balcony can be both affordable and easy to install outside a window. 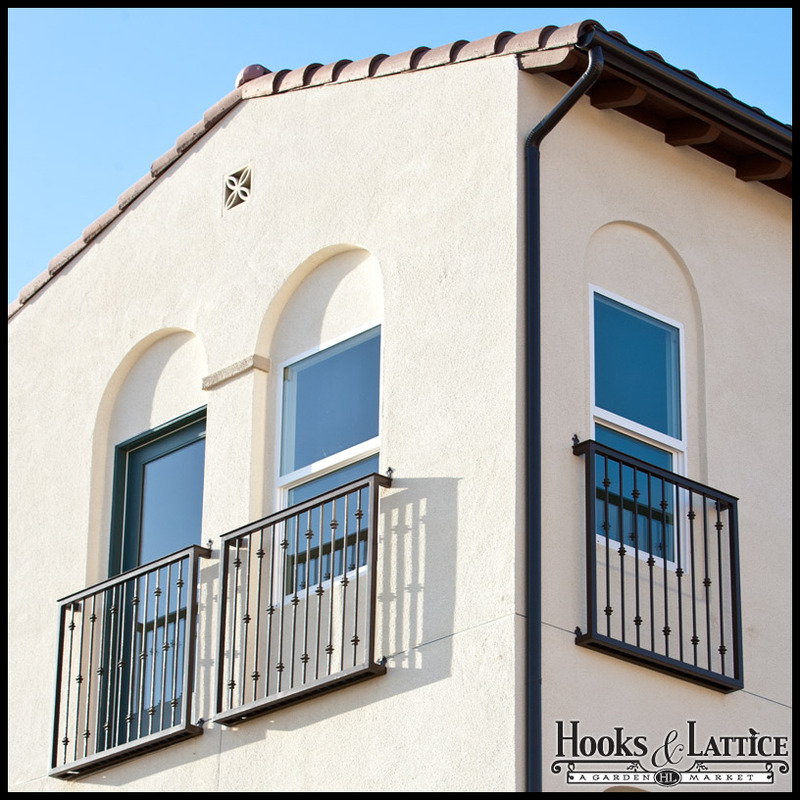 After taking a look at our selection of Juliet balconies, choose a custom balcony that matches the aesthetics of your property. Visit our website or contact us today to pick the right balcony or place a custom order. 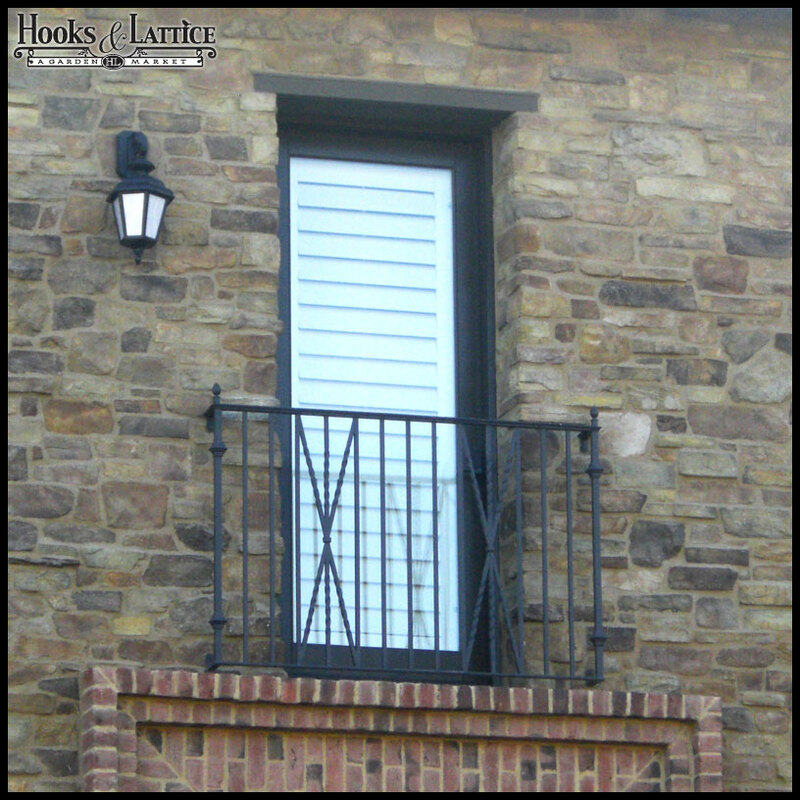 https://blog.hooksandlattice.com/wp-content/uploads/2015/08/Faux-Balconies-1.png 627 1200 Andrea Satterfield https://blog.hooksandlattice.com/wp-content/uploads/2017/10/hl-blog-logo.png Andrea Satterfield2015-09-08 11:00:452018-05-25 10:20:43Romeo, Oh Romeo, Where Art Thou Juliet Balconies?